The 2016 US Presidential Election saw some of the biggest payouts ever given with people winning thousands – even millions with some wagers – for their futures bet on Donald Trump to win the presidency. Now, with 2016 in the rear-view mirror, we turn our attention to the 2018 US Midterm Elections and the 2020 US Presidential Election and examine the odds while providing readers with only the most trusted sites for legal futures betting on political races and issues in the United States. Below are the different kinds of odds available for betting on 2018 and 2020 United States political races and current issues. Our lines are taken from Bovada and will be updated regularly, to see more candidates and additional lines, click the links provided in the table above. *Follow the link below for more odds and betting lines on USA political events including the 2020 Presidential Election, 2018 Senate Elections, 2018 Representative Elections, and 2018 Gubernatorial Elections. Q: What is political futures betting? A: Betting on futures when it comes to politics means placing your wager in advance at worse odds to receive a larger payout. The lower the odds, the bigger the payout and vice versa. Q: Is it legal to bet on politics in the United States? A: Yes. There is no US federal law preventing the use of legally licensed, offshore gambling websites. Each site at the top of the page has been reviewed and are among the best in the industry while being 100% legal, safe, and guarantee payouts for winning bets. Q: Can I bet on US politics if I’m from another country? A: It depends. The laws of every country are different, and some countries prohibit the use of offshore gambling websites while other countries allow it. 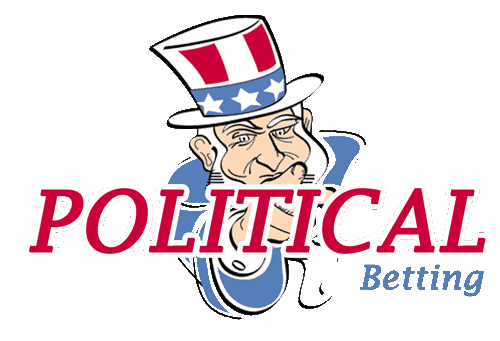 Be sure to check the gambling laws of your country before betting on politics online. Q: How old do you have to be place a futures bet on politics? A: Age 18 or 21 is typically the standard age in countries across the world. Be sure to check the age requirement of your state if you live in the US and the age requirement of your country if you live outside the US. Q: How are the odds determined on political futures? A: Oddsmakers set an initial line, and then the public is allowed to place money on the odds. Once one side starts to see a lot of action, or most of the money placed, the odds will shift to encourage bettors to wager on the other side as the date of the outcome gets closer. The odds you bet on are locked in at the time of the bet and are not affected by any future changes to the odds. Q: When is a political futures bet won or lost? A: The outcome of a political bet is determined whenever the outcome becomes official and typically, this comes when the losing side concedes. However, small margins of victory can trigger a recount, depending on the law of the state in question. This could delay payouts since the votes will all need to be counted again – and sometimes multiple times like in the 2000 Presidential election – before an outcome is official and a winning bet can be paid out.